(Left-Right) Spc. Christine Armstrong, Cadet Mitchell Alexander Winey, Pvt. Tysheena Lynette James. The U.S. Army has identified the ninth soldier who died, along with eight others, during a training accident a Central Texas Army post on June 2 as Spc. Yingming Sun. The 25-year-old from Monterey Park, California, entered active-duty military service in October 2013 as a motor transport operator and has been stationed in Fort Hood, since August 2014. The soldiers died when their tactical vehicle was washed away while crossing the rain-swollen Owl Creek on the Fort Hood Army post. Staff Sgt. Miguel Angel Colonvazquez, 38, Brooklyn, New York, Spc. Christine Faith Armstrong, 27, Twentynine Palms, California, Pfc. Brandon Austin Banner, 22, Milton, Florida, Pfc. Zachery Nathaniel Fuller, 23, Palmetto, Florida, Pvt. Isaac Lee Deleon, 19, San Angelo, Texas, Pvt. Eddy Raelaurin Gates, 20, Dunn, North Carolina, Pvt. Tysheena Lynette James, Jersey City, New Jersey, Cadet Mitchell Alexander Winey, 21, Valparaiso, Indiana, were also killed Thursday. Three more soldiers were injured in but survived. They were released from Fort Hood's hospital Friday. The mother of Pvt. Gates spoke with NBC affiliate WRAL-TV. "I'm hoping that this is still a dream, that's what I'm really hoping for. 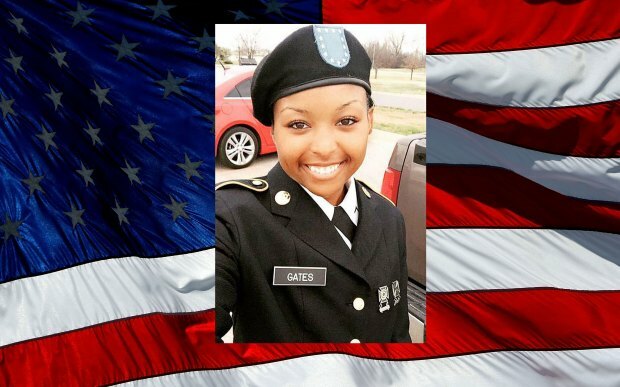 She is always defending someone else," Gates said. "That has been her nature to defend someone else."